All four kittens are in good health and there were no injuries reported. 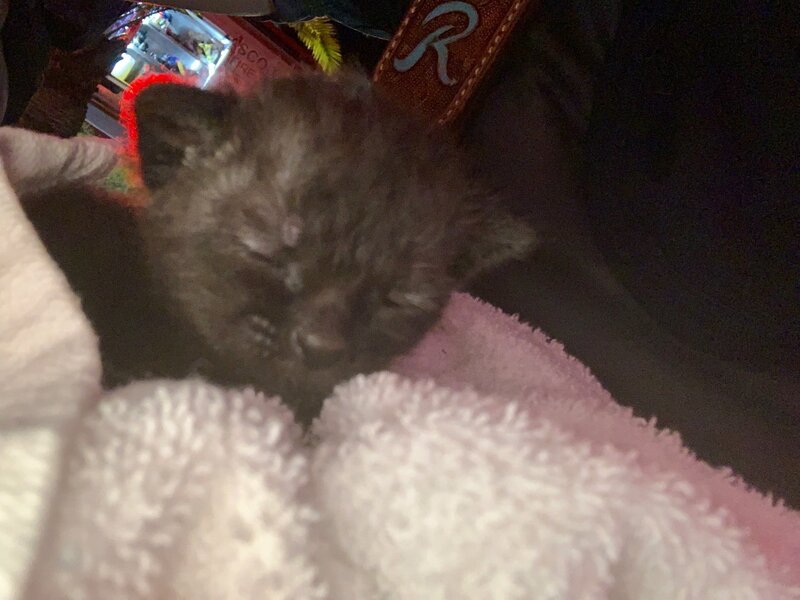 PORT RICHEY – Firefighters rescued four kittlens they found in puddle in a burning home, Pasco County Fire Rescue said. 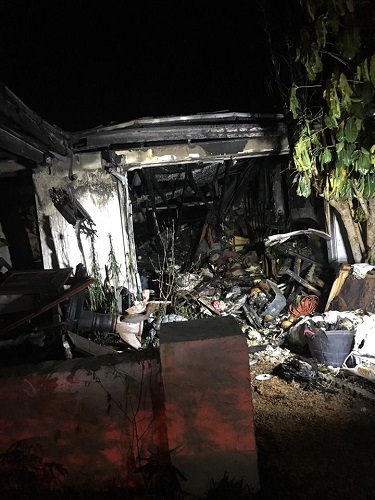 Firefighters were called to a home in the 9100 block of Hunt Club Lane in Port Richey about 11 p.m. Sunday (March 24). When firefighters from Engine 11 arrived, they found heavy fire and smoke through the roof, and called a defensive attack because of a home and car were involved. After the initial fire was knocked down, firefighters went inside the home to extinguish hot spots that were still remaining. 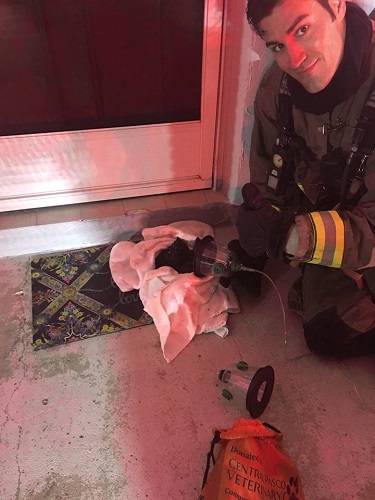 While firefighters from Squad 1 were working inside the house, they found four very young kittens in a puddle of water. 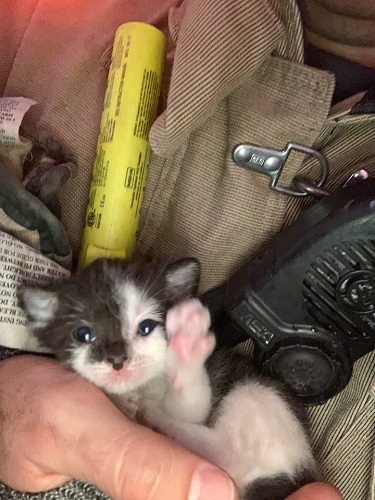 Firefighters took the kittens outside and began some loving care. The American Red Cross was called to the scene to help the homeowner. Photos courtesy of Pasco County Fire Rescue.